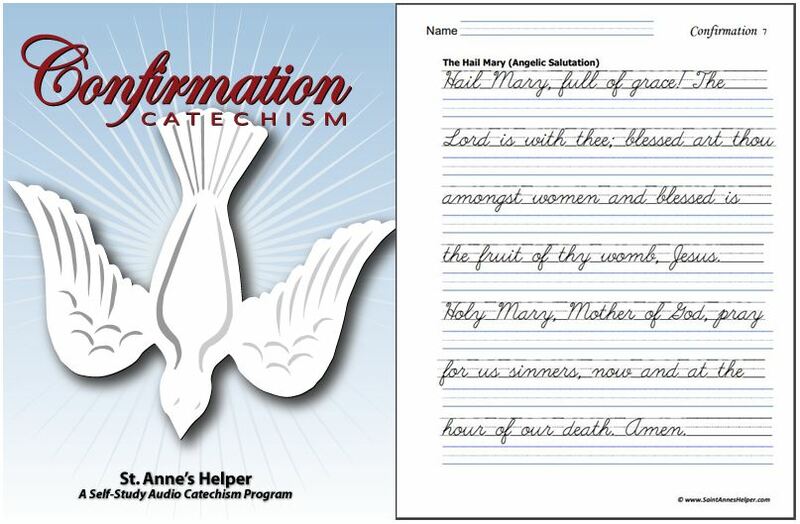 St. Anne's Helper has beautiful Catholic handwriting practice sheets! You'll love that our copybooks are downloadable so that you can print them when you want them as many times as you like. They are available in both manuscript and cursive handwriting sheets and make awesome handwriting practice. Great form with great content! 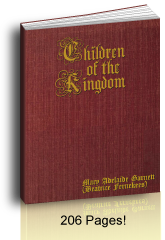 What is better than the Baltimore Catechism and the Catholic Bible for copywork? Penmanship practice is time well spent. If you as teacher require perfect practice, your kids' practice will make perfect handwriting. Truly, in all my years I've found that there are two things that improve a person's handwriting. One is to make each letter perfectly which usually requires enforcement. The other is to want to write beautifully. both cursive and manuscript writing. They're also interactive, meaning your children can use them on the computer. Great for typing practice! Order the full bundles on our order page. Do you teach cursive handwriting? I do. It's usually faster than printing and has an educated look. It can also help little ones recognize where a word stops and the next one begins, thereby helping them read their own handwriting better. There was a time when one of my own little children asked, "How do you write so neatly?" The answer? "I simply want to." I showed her my notes in my planner. Um... Not so neat. Then I showed her the Thank You note I'd written to a friend. Quiet a lightbulb moment for her - she's written nicely ever since that moment. "Mom. What can I do?" "Here, I'll print a handwriting practice sheet for you!" He was so proud of his new project! Using a copybook is similar to the old method of teaching while using a slate for copywork; so it's relatively a simple, yet beautiful assignment. Perfect for school and catechetical use. Perfect for a large Catholic homeschool family. Use the catechism questions and answers. Are to print as handwriting practice sheets, memory aids, and busywork. Individual penmanship practice sheets can be produced at will. Several children can be working on the same assignment with no end to the number of copies they can use till "practice makes perfect". This is true for successive years as well. The basic Catholic beliefs remain true through the years. No need to update in future years. 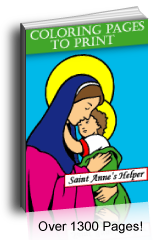 When God blesses you with many children you can rejoice that you've found Saint Anne's Helper. 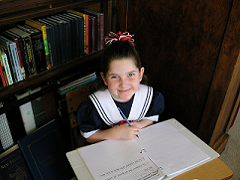 Our catechism Copybooks do not need to be purchased again, which saves you money. 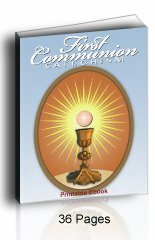 Our First Communion copybook has two versions in the same download. Use them as handwriting practice sheets at the same time you're teaching catechism. The words are timeless so they're great for any age. 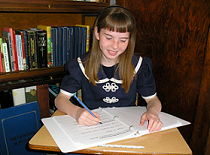 Children can practice manuscript writing. 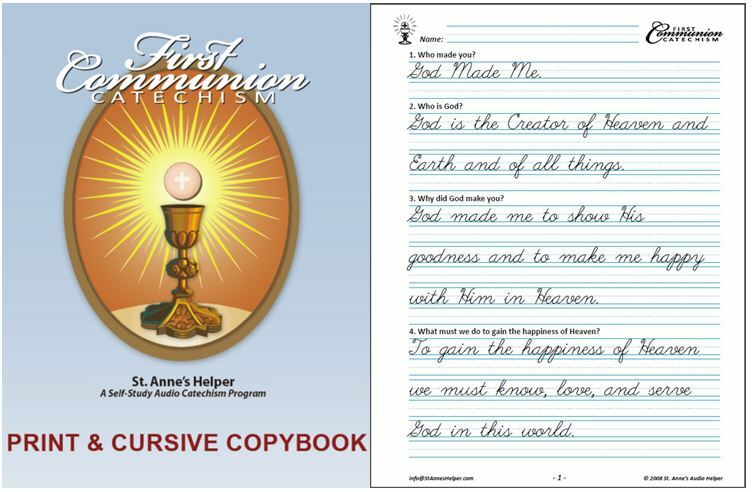 Our First Communion Catechism copybook is now available as one download of both the manuscript and cursive writing worksheets of the same material that is in the audio CDs and downloads of St. Anne's Helper Audio Catechism CD. They can be printed as an entire book or as individual handwriting sheets. These sheets offer good thoughts to write. They use the traditional Catholic catechism answers. They have the catechetical questions most frequently studied in grade school. They match our Audio Catechism CDs verbatim. 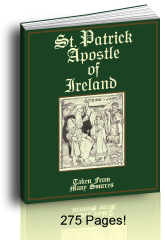 These downloads are instant and the CDs are wonderful gifts of faith, especially at the beginning of the Communion year. 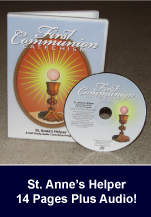 St. Anne's Helper has a catechism copybook for First Communion preparation and another for Catholic Confirmation. They each use the text of St. Anne's Catholic Audio Catechism so you also have good material for your child's mind to learn the Faith while practicing penmanship. See samples above and print them to share. Each catechism copybook is fully reproducible for as many years as you like. You store it in your own computer. Think of the savings in not having to buy a new copybook every year for each new child learning the Catholic catechism. 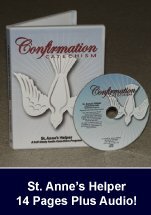 If your children or students are in the years before receiving Confirmation, they will do well to use these Confirmation copybooks to learn the Confirmation answers. They can also brush up on their handwriting. With older students you can print the workbooks two-up. This makes the font smaller and they love the nicer look of their handwriting when it is small. As a memory exercise you can assign that they read the question once and the answer three times, before they then copy the answers once. Easy. Effective. 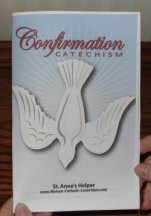 The Confirmation Catechism Copybook is now available as a download of both the Manuscript and Cursive worksheets. 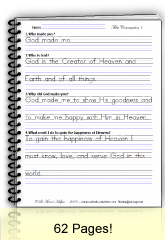 You now have Catholic penmanship practice sheets that can help your children have beautiful handwriting practice and a strong faith at the same time. Newly, all our printables are interactive! What are interactive handwriting practice sheets? They're worksheets that your students can use on the computer. All they have to do is type what they see. This is great for typing practice, too. Then simply file the children's work. Our individual penmanship practice sheets are great review of the faith because the basic Catholic beliefs remain true through the years. No need to update in future years. Using a copybook is similar to the old method of teaching using copywork. Imagine the Roman students learning their Latin copywork. Think of the copywork that Laura Ingalls and her daughter Rose did to improve memory and to have perfect handwriting, yet this can be easier since the text to be copied is immediately above the ruled lines for writing. Younger students and those who are struggling appreciate this benefit and begin to gain confidence for "real" writing. Using Catholic penmanship practice sheets makes the copybook idea one step more convenient to you.